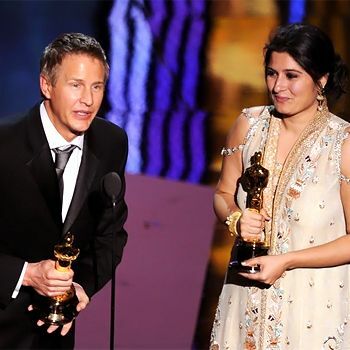 In her acceptance speech, Sharmeen Chinoy dedicated the award to the women of Pakistan. “All the women in Pakistan working for change, don’t give up on your dreams, this is for you,” she said. ‘Saving Face’ chronicles the work of British Pakistani plastic surgeon Mohammad Jawad, who performed reconstructive surgery on survivors of acid attacks in Pakistan. More than 100 people, mainly women and girls, are disfigured in acid attacks every year in Pakistan, although groups helping survivors say many more cases go unreported. Pakistan is the world’s third-most dangerous country for women, after Afghanistan and the Democratic Republic of Congo, based on a survey conducted last year by the Thomson Reuters Foundation. Chinoy said she hopes the cases in her film will resonate for others in Pakistan. “It is a story of hope with a powerful message for the Pakistani audience. I felt this would be a great way to show how Pakistanis can help other Pakistanis overcome their problems,” she said. Chinoy’s films have won international acclaim. Her 2010 documentary, Pakistan’s Taliban Generation, won an International Emmy Award.